The carpool map will be updated periodically as more people fill out the form. 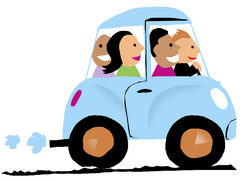 Even if you’re not sure if you will be carpooling, you can fill out the form. Your address will be mapped, making it easier to find Exploris families in your neighborhood. You never know when you might need an emergency pickup!